I went to John B Bond for 3 years and we relocated to NYC in 1960. I Had Mrs Joy in the 1st gradeand Mrs Branch in 2nd and Mrs Watkins for a part of the 3rd grade. “John B. Bond High School / with initials JCL engraved inside. I need help in locating the owner! My email is: Libya24@cox.net . Hello Ms. Veale, I thoroughly enjoyed viewing your lovely artwork. When I came apon your rendering of John B. Bond Highschool, I was really ecstatic because that is the highschool both of my parents attending and graduated from in 1961! I was wondering if you still have that 1961 yearbook. If so, I would love to get a copy, and would pay whatever expense(s) necessary to get it. Please contact me at cyndibooba@gmail.com. I hope to hear from you. Unfortunately, I did not attend the school, but I live in the area. There is a class reunion committee somewhere close by. Perhaps someone in the Lewiston area (who grew up here) would be able to assist you. I hope it works out! Hi. I really like your picture of John B. Bond High School. You indicated that you used a 1961 yearbook to paint it. Would it be possible to get a copy of that yearbook? I would be willing to cover any costs of photocopy and mailing. Both my parents attended JBB from approximately 1955 – 1961. Thank you. The last class to graduate from John B. 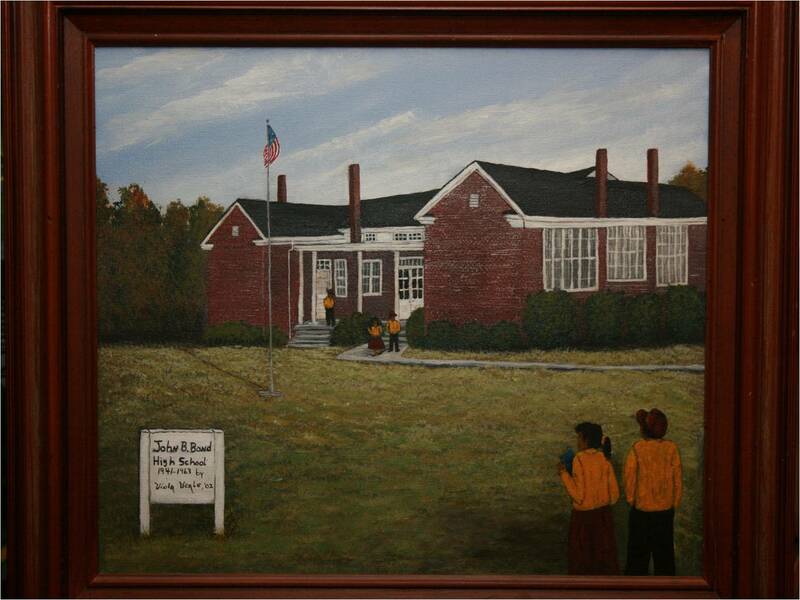 Bond High School, will be having there 50th Class Reunion on June 29, 2013.